WTC Institute, the newest division of RTC Institute, offers teacher training and learning for all sectors of the community. Earn CTLE, in-service or enroll in graduate level course/program. 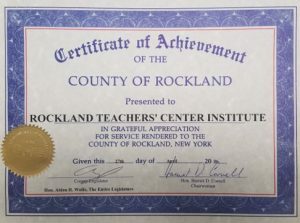 The Westchester Teacher Center Institute offers high quality educational programs for the purpose of promoting and facilitating teacher training and learning for all sectors of the community. These CTLE, in-service and graduate level courses and programs are open to ALL teachers for a fee based on the number of class hours or credits. 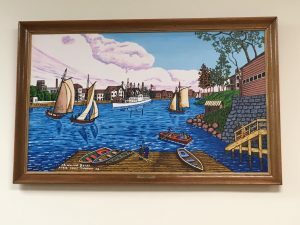 Under a long-standing policy, teachers in The Edith Winthrop Teacher Center consortium may register for our course and workshop offerings at a discounted rate. The course and/or program fees are used to pay the instructor’s fee and the operational expenses. For a listing of our courses, please click here. To visit the Edith Winthrop Teacher Center website, please click here. Join our next cohort! Start classes in Spring, Summer or Fall 2019! Why join the RTCI – SUNY New Paltz Master’s in Literacy program? Cost per 3 credit Rockland course: $1050* On-campus courses are $1296*per 3 credit course. (*prices subject to change). Contact us at 845-499-0851/email jmurray@rockteach.org or visit our website.